“Together developing our people and communities”. 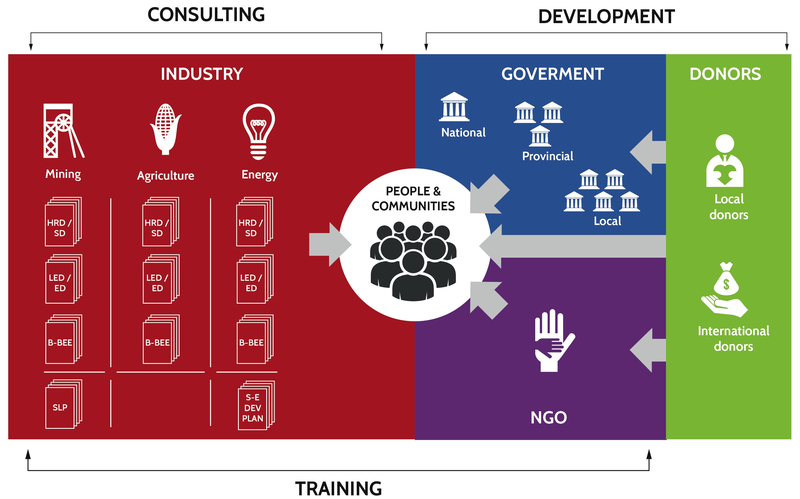 We believe that people and communities should own and participate in their own development through the creation of a shared vision between the private, public and NGO sectors to address the unique social, economic, political and environmental challenges facing our South-African and African communities. 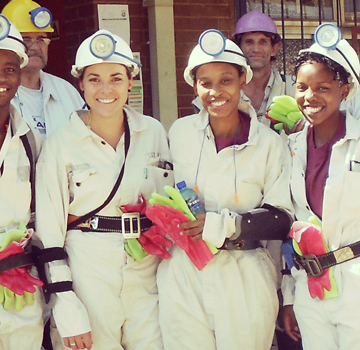 Roné Coetzee, a passionate social entrepreneur and sustainable development activist, founded Beulah Africa Consulting in 2013 out of the need for development she saw while working in the Mining Industry. In 2014, Beulah Africa Development NPC was established to add value to the services already offered by Beulah Africa Consulting. Shortly thereafter, in 2016, Beulah Africa Training was added to the group. Over the years Beulah Africa has expanded its footprint from the Mining Industry into the Energy and Agricultural Industries as well. Beulah Africa follows a people & community centered approach in delivering integrated social investment facilitation that leads to sustainable change (impact) to the lives of people and communities in Africa. Brining together the public, private and NGO sectors to meet the developmental needs of people and communities, while ensuring compliance and benefits to the donors and industries involved. Beulah Africa’s dream is to see Africa’s natural resources industries as the primary drivers of Africa’s development through transformative, sustainable and socially responsible practices. Africa is considered to be the richest continent in the world in terms of natural resources and therefore pivotal to the mining and minerals sector. In fact, Africa is said to the birthplace of mining activity. It is believed to contain roughly 30% of the worlds’ mineral reserves, including 95% of the worlds’ total platinum, 64% of its diamonds, 49% of its cobalt and holding significant natural gas and oil reserves. For decades agriculture has been the backbone of most African countries’ economies. Africa is blessed with 22.3% of the worlds’ land mass and has the agrarian potential to not only feed itself, but to be one of the breadbaskets of the world. Some of the worlds’ greatest rivers are also found in Africa. The Mining & Minerals and Agricultural industries are unfortunately tainted with grave injustices, inequalities and years of exploitation. These industries are in desperate need of transformative and socially responsible practices to ensure their sustainability. These industries are labour intensive and primarily located in rural areas. Beulah Africa has positioned itself as a trusted partner to the Mining & Minerals, Agricultural and Energy industries. Beulah Africa provides assistance in addressing issues related to these injustices, inequalities and exploitive practices and to ensure that the natural resources industries have a positive societal impact. SUSTAINABILITY: We ensure long term sustainably in all we do by using integrated approaches that take into consideration all social, economic and environmental impacts during decision-making and implementation. TRANSFORMATION: We embrace change, which enables us to find innovative solutions to societal problems that contribute to the transformation of people, communities and companies. EMPOWERMENT: We are servant-leaders, raising more leaders by supporting, assisting and developing people, communities and companies to reach their full potential. PARTNERSHIP: We are a multi-disciplinary team of specialists fostering and actively building social capital between people, the public, private and NGO sectors to see Africa’s transformation come to pass. INTEGRITY: We do ethical business, live principled lives and conduct ourselves in a professional manner with the highest degree of honesty, respect and fairness, building trust and ensuring reliability. EXCELLENCE: We are passionate about what we do so we work as good stewards with joy, diligence and excellence, ensuring we deliver quality services that exceed expectations.